Luigi, the brother of the famous Mario Bros and partner in his adventures, is the protagonist of our next game of hidden stars. 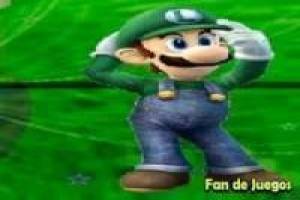 In these images of the green character of the famous Nintendo games, an intrusion in the form of stars has been cast and we will have to find them all to clean the image and enjoy its original version. You must use the mouse on your PC, which has become a magnifying glass, to click on all the stars and make them disappear. 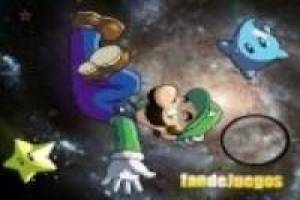 There are a total of fifteen stars and once you find them you can advance to the next level where another challenge awaits you with Luigi Bros. Open your eyes and find the stars hidden in the images of the Nintendo character. 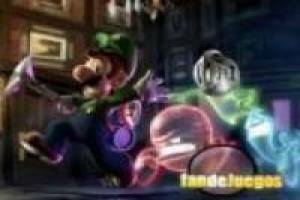 Enjoy the game Luigi: Hidden stars, it's free, it's one of our Mario bros games we've selected.